Autonomous Quadcopter with Human Tracking and Gesture Recognition (QUADHTGR)Welcome to the QUADHTGR senior project website! The goal of this project is to create a quadrotor helicopter (quadcopter) that can autonomously follow a particular human as well as respond to gesture­-based commands. The quadcopter will have a wifi connection, allowing live video feed and data to be streamed over the Wi­Fi. The video feed and data will then be analyzed and stored on a computer connected to the quadcopter. 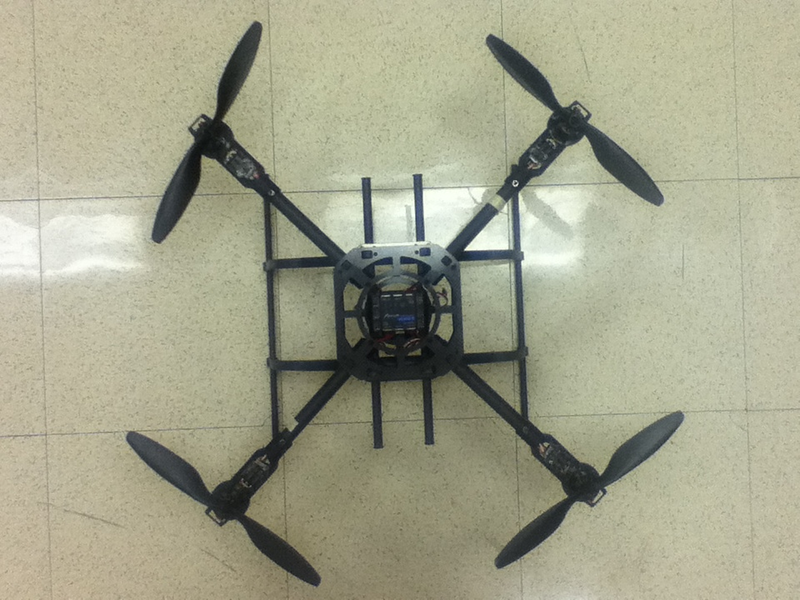 Once the video feed and data have been analyzed on the computer, the computer will send flight commands back to the quadcopter based on the analysis.